Where is it ? Western Algarve, about 105 kilometres from Faro airport. About one hour twenty minutes transit by car. How big is it ? The municipality of Aljezur which covers the region is home to four main parishes and a population in total of about 5500. 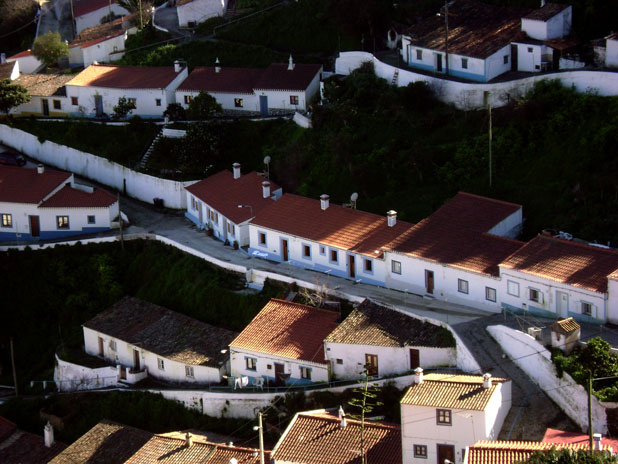 Aljezur town itself has a population of 2500 permanent inhabitants. Who goes There ? Aljezur is Ten kilometres inland so does not attract the usual beach crowd. Instead it is a good base for walkers, nature enthusiasts and people who want to explore some of the unspoilt village life of the western Algarve. What about food and accommodation ? There are some excellent restaurants in Aljezur. There are also many guest lodges and small hotels around Aljezur that food and accommodation. Some of the smaller towns in the municipality offer traditional western algarve fare. Head towards the coast if you are looking for seafood fresh off the boat. Agriculture was, and is, Aljezur’s main economic activity but its sharing more and more in the social and economic renewal of the Algarve. The damage caused by the 1755 earthquake led to the construction of a new settlement across from Aljezur, called Igreja Nova. Nearby beaches (Arrifana, Monte Clérigo and Vale de Figueiras) are ideal for windsurfing and surfing. This part of the western algarve has many natural protection orders in place so you will not see any modern developments. Aljezur is ideal for those looking for rural tourism and peaceful walking days out. The chances of bumping into loud holiday makers are as remote as the village itself.